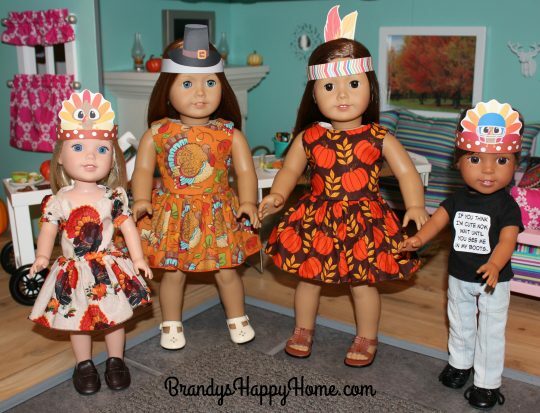 We LOVE Thanksgiving at Brandy’s Happy Home! We have wonderful memories and love to get into the season…and character of the day! 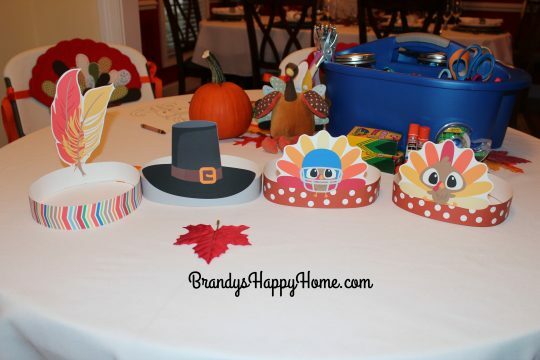 Next up in our “Around the Kid’s Table” series are FOUR different Thanksgiving printable headbands! 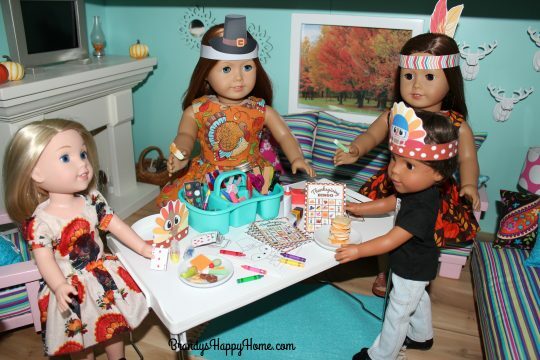 I have created a cute little turkey headband, a football turkey headband, a pilgrim hat headband, and a Native American headband. All headbands are for kids of all ages and dolls. Simply print, cut, and tape together. 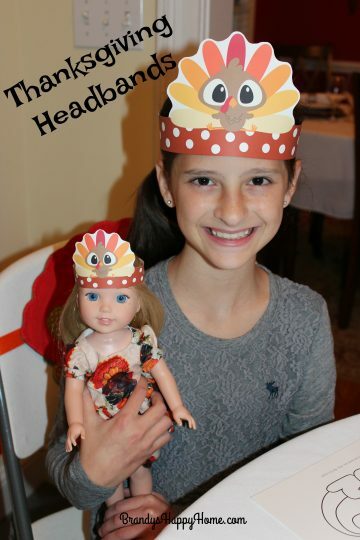 These Thanksgiving headbands make a cute addition to your holiday festivities. Kid’s love finding little treats waiting for them at the “Kid’s Table!” You can have these headbands premade and waiting for them at their seat OR you can have the kids cut them out assemble the headbands themselves. 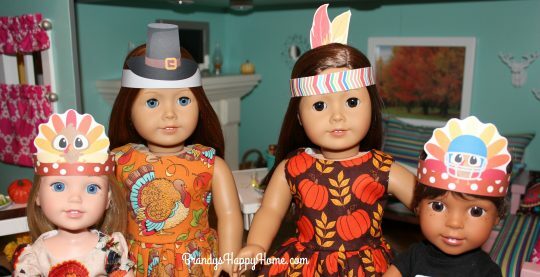 These dolls look so cute and ready for Thanksgiving. Dolls are wearing dresses from Dresses For Dolls. The doll headbands can be sized for any sized doll. Our dolls have their headbands made and are ready for the next activity. Stay tuned for Thanksgiving Bingo! All food pictured above is from Faux Real Food. I’ll have to save them for next year, as we already had our Thanksgiving.